Gemini (♊) is the third astrological sign in the zodiac, which spans the zodiac between the 60th and 89th degree of the celestial longitude. In the tropical zodiac, the Sun transits this area of the zodiac between May 21st to June 20th each year and in sidereal astrology, the Sun currently transits the constellation of Gemini from June 16th to July 15th (approximately). Individuals born during these dates, depending on which system of astrology they subscribe to, may be called Geminians. The sign is symbolized by ‘the twins’, which also presents duality – the ability to relate to opposing visions simultaneously, to possess dexterity and a talent for multi-tasking. In India it is not a figure of twins as in the West, but that of a man and woman representing Mithuna, a couple. Characteristics of Zodiac sign- Gemini. Geminians are extroverts who have a mastery over the art of communication. They can sell anything and everything in this world. They love to exhibit their knowledge even though it is not complete. There are jack of all trades and master of none. It is a male, Dual, Airy sign and the Lord is Mercury. Being a male sign, we find masculine trait in the individual. They enjoy exercising and maintain a good physique. They are egoistic, boasters, likes to lead and take up challenges. They generally have a good stage presence and can stand anywhere and start speaking. Being dual – is not firm about his/her opinion,they may contradict there statements .You can compare them to a ‘Chameleon’ which can change its colours to suit different situations. They love changes and lack perseverance. They are very inquisitive in nature and will love to undertake new projects but may not complete it or will get bored easily . Being windy, signifies intelligence, good imagination power, inquisitive, argumentative, humorous and witty. More inclination towards drama, script writing and acting. Have keen interest in mathematics and solving puzzles. Being a rashi of Kama trikone, they love projection. Would like to maintain a good physique and will like to boast about their abilities and intelligence. Performance and appreciation is very important to them. 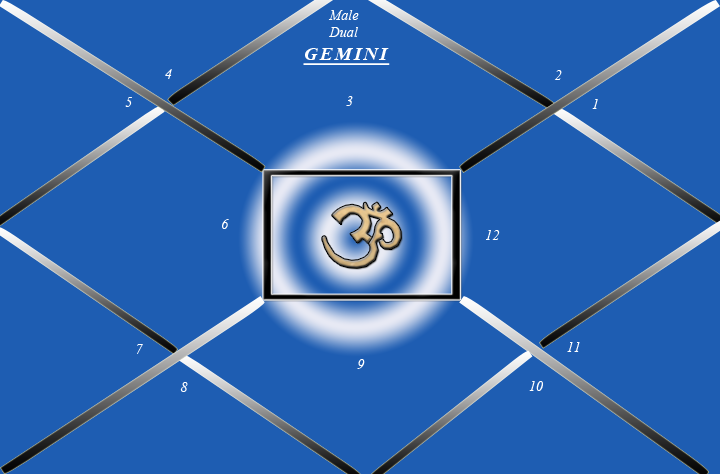 Lord of Gemini Is Mercury which is responsible for intelligence and logic of a person. They are communicative and have good convincing ability . Excellent sales quality can make them sell everything and anything on this earth .They can be quite loquacious and will not listen to others. Love to air their opinion. 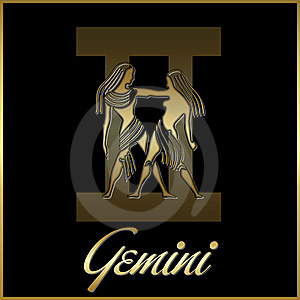 Gemini rules over intelligence, logic, communication and learning ability. In a chart, whose ascendant is Gemini or Moon is in Gemini and Mercury is in either Gemini, Virgo where mercury is exalted/strong, they will have the above characteristics predominant in his/her personality.